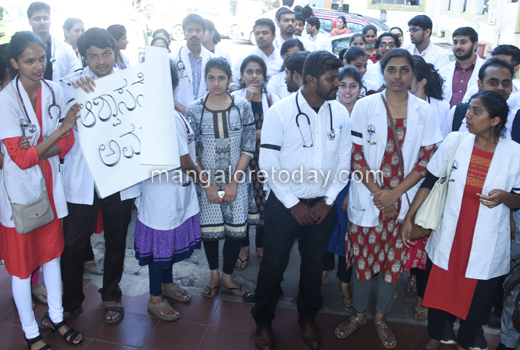 Mangaluru, Oct 22, 2018: House surgeons and medical students pursuing post graduate courses staged a protest in front of Wenlock Hospital on October 22, Monday demanding stipend from the government. 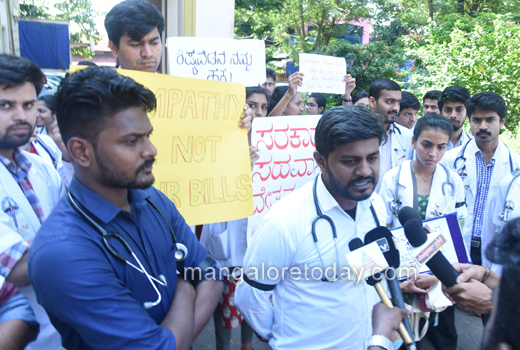 House surgeons who were entitled to stipend since 2017 have not received the same for the past eight months. 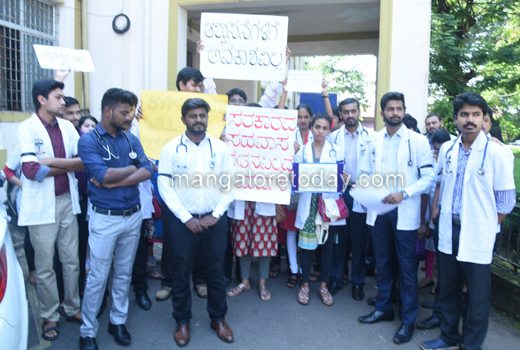 Repeated appeal to the Chief Minister, Education Minister, Health Minister and other authorities have proved futile, the protestors alleged. 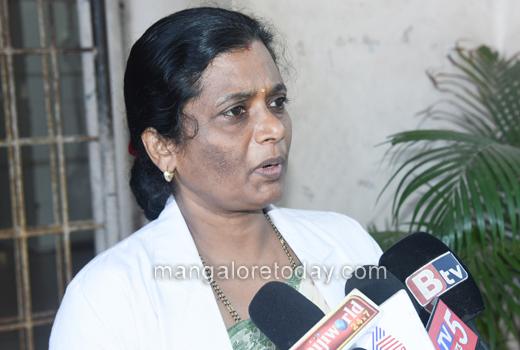 Wenlock Superintendent Dr Rajeshwari Devi who met the agitators assured to bring their issues to the notice of the government. 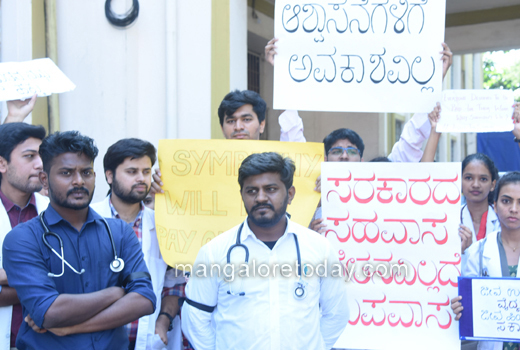 The protest was subsequently withdrawn but house surgeons have warned of an indefinite strike from November 1 if their demand was not fulfilled.